With students set to start moving in on Thursday, the campus is prepared to welcome everyone back with a variety of activities. Be sure to mark your calendars for a chance to welcome incoming students, learn what area businesses can offer the campus community and visit with your colleagues! 10 a.m. Saturday, Aug. 18, Corley Auditorium. The induction ceremony will welcome the newest cohort for the Yours to Lose – Advanced Medical School Acceptance Program. 2 p.m. Saturday, Aug. 18, Taylor Performing Arts Center. 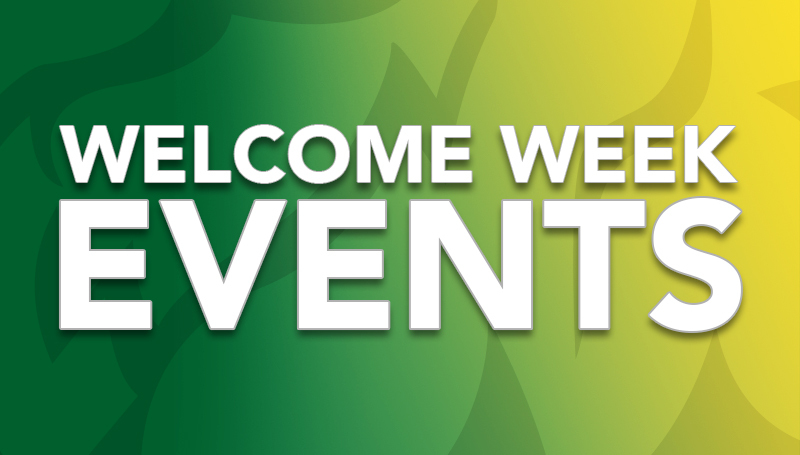 First-year students and their families will be welcomed to Missouri Southern during this special ceremony. 10:30 a.m. to 1 p.m. Monday, Aug. 20, on the Oval. 10:30 a.m. to 1:30 p.m. Tuesday, Aug. 21, on the Oval. Don’t miss a chance to learn about the wide variety of student organizations on campus. 10:30 a.m. to 1:30 p.m. Wednesday, Aug. 22, on the Oval. Career Services will host representatives from area businesses, non-profits and other organizations. Come sample products and explore job and volunteer opportunities. 10:30 a.m. Thursday, Aug. 23, Billingsly Student Center. Dr. Alan Marble and other members of Missouri Southern’s administration will welcome everyone back to campus with ice-cream sundaes. They’ll only be available while supplies last, so don’t be late!